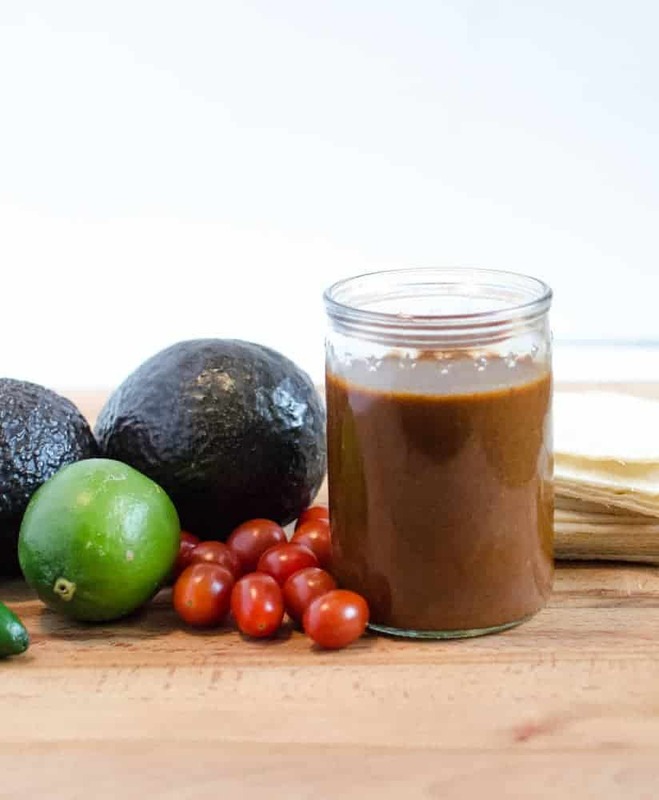 Quick and easy homemade red enchilada sauce made from simple things from your pantry like oil, chili powder, and broth in about 15 minutes. 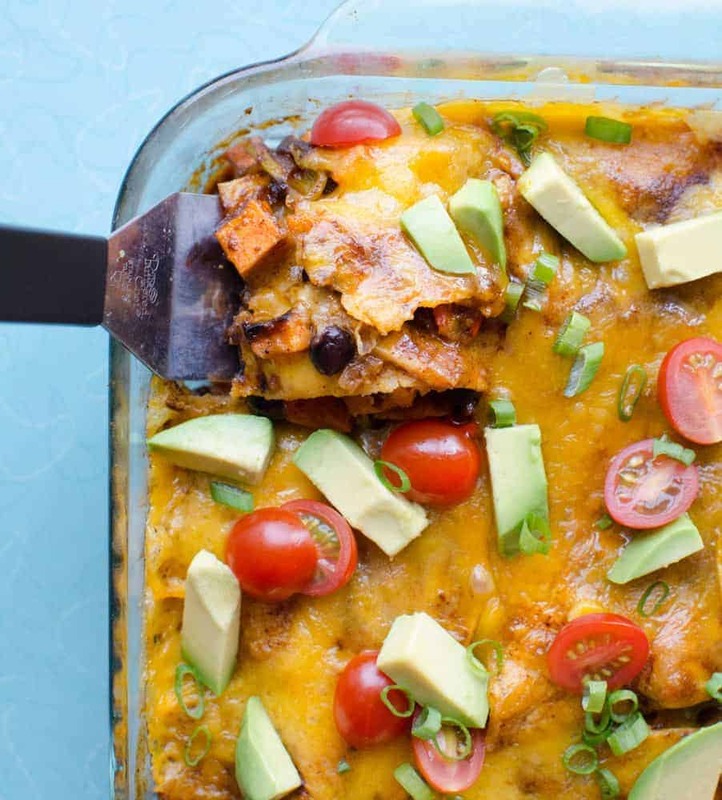 I adore all things Tex-Mex/Mexican/Southwest in flavor and that includes all things enchilada. I often want to turn taco night into enchilada night but what holds me back is the lack of enchilada sauce. I don’t keep it on hand and I don’t normally think of it when I’m at the store. This has caused me to find the best and easiest homemade red enchilada sauce recipe, and I’m so glad that I have! Chances are great you have everything on hand to make this amazing homemade red enchilada sauce (no special chili peppers required) and it only takes about 15 minutes to put together. The flavor and texture is excellent, it’s inexpensive to make at home, and it also freezes really well. I always make a double batch of this recipes while I’m at it and freeze half for later use. You won’t believe how east and delicious this one is! Happy Enchilada Making to you! If you are wary about heat/spice in your sauce, I would begin with 2 tablespoons chili powder and add more once the sauce has reached a simmer if you’d like. Be sure to use chili powder for this recipe, not cayenne. Traditional American chili powder is fairly mild, and should not be overly spicy. This Easy Homemade Red Enchilada Sauce recipe couldn’t be easier and the flavor is just what you want it to be. I’d recommend using a good quality chili powder instead of something super cheap (like those Dollar Store spices… those never are great in my experience). Because so much of the recipe is built around the chili powder you’re going to want to get a good one. I have had great results with Simply Organic Chili Powder as well as McCormick Spice. Again, this is just normal chili powder. It’s not dark chili powder, hot Mexican chili powder, or cayenne powder (though those would probably work great if you like things hot, I haven’t tried them though). You can make this with veggie, chicken, or even beef stock depending on what you like or have on hand. This is a great recipe to adapt to dietary needs such as gluten free or vegan because you are in control versus something from a can. Add flour and stir together and cook for one minute. Stir in the chili powder, garlic powder, salt, cumin, and oregano. Gradually add in the stock, whisking constantly to remove lumps. Reduce heat and simmer 10-15 minutes until thick. Use immediately or refrigerate in an air-tight container for up to two weeks. This also freezes very well so I like to make a double batch and freeze half for later use. 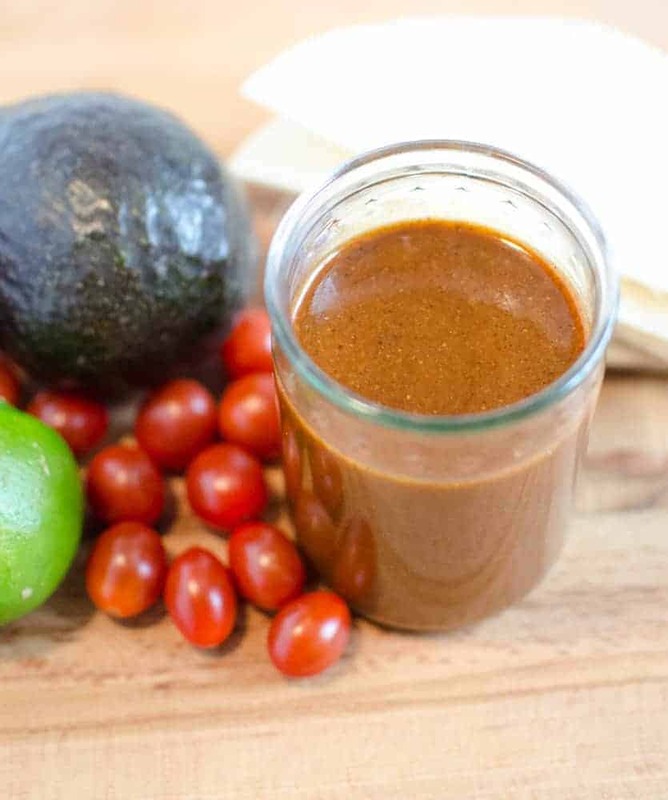 This Easy Homemade Red Enchilada Sauce recipe is totally from Ali at Gimme Some Oven. I’ve been making it for years from her site. Thanks for being here and being great. I so appreciate you. Oh….I wanna make this….I wanna have some in the freezer! But the freezer is always maxed out! His solution…..buy another freezer……SCORE! Your blog has helped me soooooo much!!!!!! It’s a 1/2 teaspoon. Thank you for mentioning that! I’ll correct it.